There is just something special about the combination of summer and books. For me I think it’s the luxury of time that I just don’t get the rest of the year. My summer doesn’t official begin for another four weeks, but with Memorial Day coming up, I’m mentally already there! My mind is drifting off to that slower, relaxed pace of summer where reading on the front porch for hours happens almost daily. 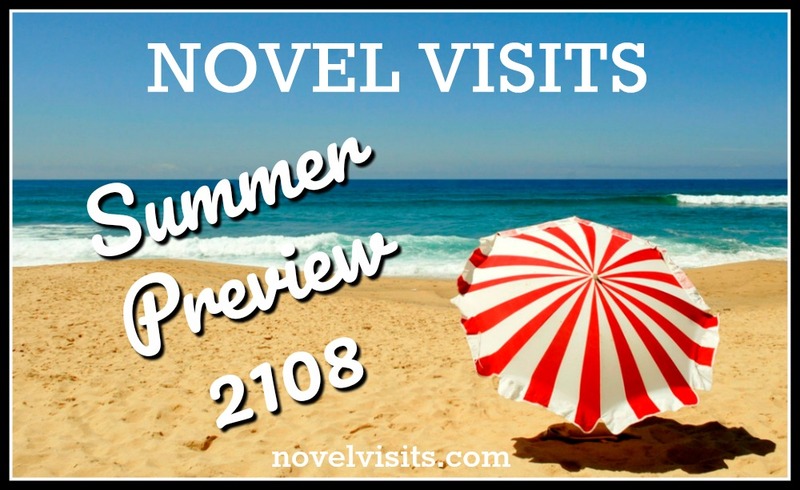 With all that time, I’ll definitely be turning to some backlist books, but I’m also eager to dive into new releases coming out in June, July and August. I shared a few June releases in my Spring Preview 2018, so if you notice a book missing from the June list it’s probably there. Grab your TBR list. You’re going to be adding to it! 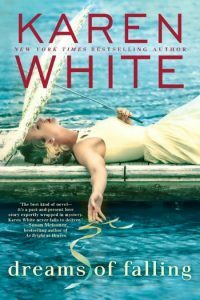 – I’ve never read Karen White before, but know many others love her. – A contemporary, southern story. – Costal Living named this one of the Best New Books for Summer 2018. – A heavy topic memoir (and my only nonfiction) about domestic abuse. – Elle’s 32 Best Books to Read This Summer. – Some similarities to Educated making it very appealing to me. 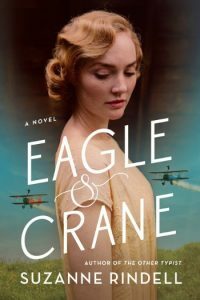 – This is historical fiction, a genre I want to get back to reading more of. – 1920’s Russian refugee in a New Jersey boarding school. – The first selection for Sarah Jessica Parker’s new imprint at Hogarth. – A story of dysfunctional family dynamics…love that! 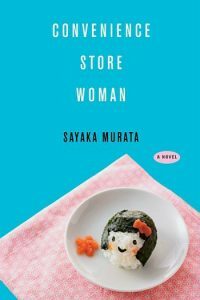 – A very quirky premise of a woman who has worked in a convenience store for half her life. – Debut novel with humor and heart. – Very short, so a quick read. – Chicago in the 1980’s and Paris today. – Booklist claims it has parts that might remind you of A Little Life. – Historical fiction set in 1950’s California. – Premise of daredevils in a flying circus. – I really liked Suzanne Rindell’s earlier book, The Other Typist. 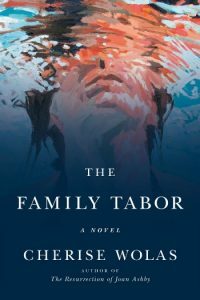 – Anne Tyler is an author I trust. I haven’t liked all her books, but most I have. 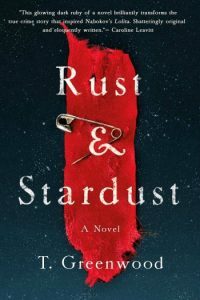 – Premise of a woman helping her dead son’s girlfriend. – Tyler does grief well. 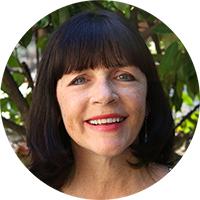 – Trusted author in Beatriz Williams. – Historical fiction spanning two decades of summers on a costal island. – A story of class conflicts. – Palm Springs, California setting. – Dysfunctional family drama set over a single weekend. – From Bookpage’s list of 11 Women to Watch in 2018. – Somehow I’ve missed Abbott’s previous books, so am eager to try this one. – Mid-summer is the perfect time for a good psychological thriller. – Game of cat-and-mouse between onetime friends. – Coming-of-age story set in Columbia in the era of Pablo Escobar. – A powerful debut that’s getting a lot of buzz. – A confluence of love, religion and terrorism. 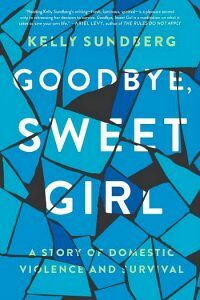 – A story of a young woman torn apart by grief and loss. – I’ve loved Two Rivers, also by T. Greenwood. – Historical fiction based on 1948 real-life kidnapping of an 11-year old girl. – Exploration of a crime and the ways it affects everyone involved. – Mystery of a dead husband suddenly reappearing. 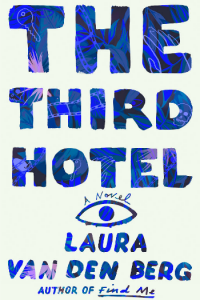 – This one looks to be a haunting little gem of a novel. – Debut about motherhood, immigration and more. 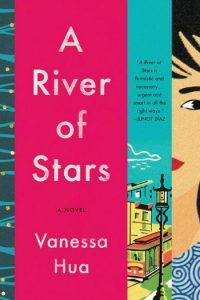 – Interesting premise of a young, pregnant Chinese woman sent to live in Los Angeles. What summer releases are you most looking forward to? Had to juggle my library holds a little but added the Clock Dance (I love Anne Tyler) and The Summer Wives. 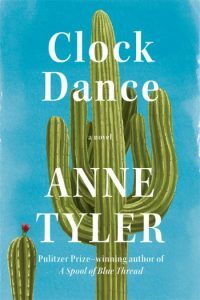 I’ve been up and down with Anne Tyler, but am looking forward to Clock Dance as it sounds like a bit of a departure for her. 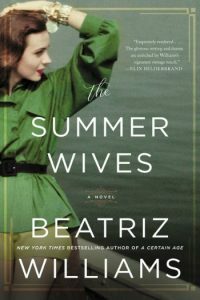 So many of these are new to me, but I’m definitely looking forward to Beatriz Williams’ novel. I love her books, she captures a setting so well. Did you know she has another book coming out in September? It’s called The Glass Ocean. Yes, I did recently see that! It’s with two other authors, and the three of them previously wrote another novel together, The Forgotten Room. Love this preview, and your short blurbs about each! I’ll definitely be saving this and returning to it. I feel like most of my reads have been a little heavy lately and because of that, I’m just not reading as much. Summer definitely calls for something lighter. I agree on the desire for light reading in the summer, but a few of these don’t seem all that light! Oh, my gosh, Susie!! I am so excited about so many of these!! Summer reading is the best, right? Especially when you’re out of school, I’m sure! 🙂 Somehow, I completely missed Clock Dance; about to try to hunt down a copy. I haven’t been able to secure an ARC copy of Clock Dance, but just put in a library hold and am number 2 on 8 copies, so I’m good with that. Enjoy your summer reading, Tara. 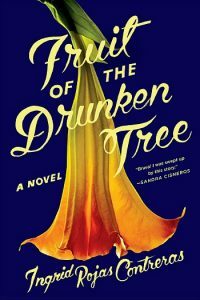 Fruit of the Drunken Tree came really close to making my list – I’m planning on trying it – especially if I hear good things from people I trust. And oh my God you haven’t read Megan Abbott?!!! Never??? She writes demented high school girls so well. I loved The Fever and You Will Know Me. Didn’t like Dare Me quite as much. I’m also getting more and more intrigued by Convenience Store Woman – will read it if you like it! No, I’ve completely missed Megan Abbott, so am very excited to give her new novel a try. A twisty thriller mid-summer should be just about right. So many new reads! Thank you! I’m so excited to get going! Have you ever thought about an online book club? Would love to find a few ladies to come together about some really great reads! I have though about an online sort of group read. In fact, I was considering an older book that I’ve never read, Rebecca by Daphne du Maurier. Any thoughts? Rebecca has been on my TBR list for awhile now. I’d be interested, keep us posted on your thoughts. Oh great list, thanks for the summer preview! I have just started A Place for Us and it seems like it’s going to be good! 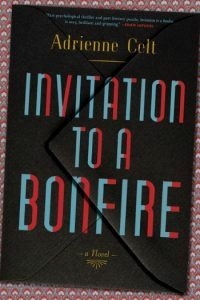 I’m also trying to get my hands on a copy of The Incendiaries …. too much buzz around this one to let it get away. Love the summer reading. Enjoy. 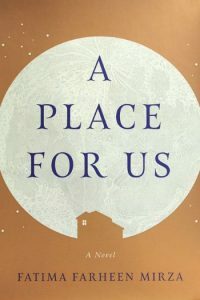 I’m very curious to hear your final thoughts on A Place for Us. It was on my Spring Preview, but I was never able to secure an ARC. I’ve been hearing that it’s pretty dark. What do you thin k of it? 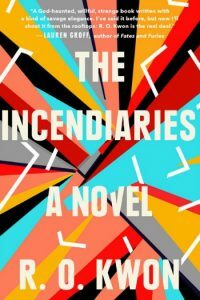 I definitely want to check out The Incendiaries. Thanks for sharing! Love the summer reading round-up. Thanks, Krystal. I appreciate your kind words. I am flat out envious of your porch! This is a great list. I’m happy you can vet the Cherise Wolas for me. I loved her writing in her debut but not the novel as a whole so am very curious to see how she does as a sophomore. What a great list Susie! 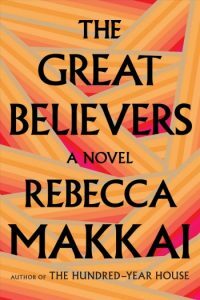 So many books that weren’t on my radar…I’ve added Clock Dance and The Great Believers to my library holds. I’ve got A Place for Us and Summer Wives on my tbr, both seem like winners. Happy Summer reading!! What an amazing list! 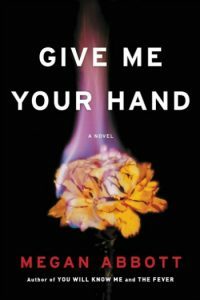 I am most excited about Give Me Your Hand by Megan Abbott. Her first book was really, really good and the plot of this new book is very intriguing.